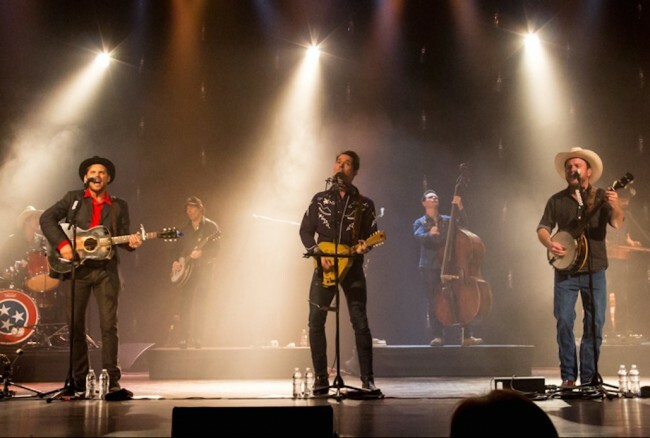 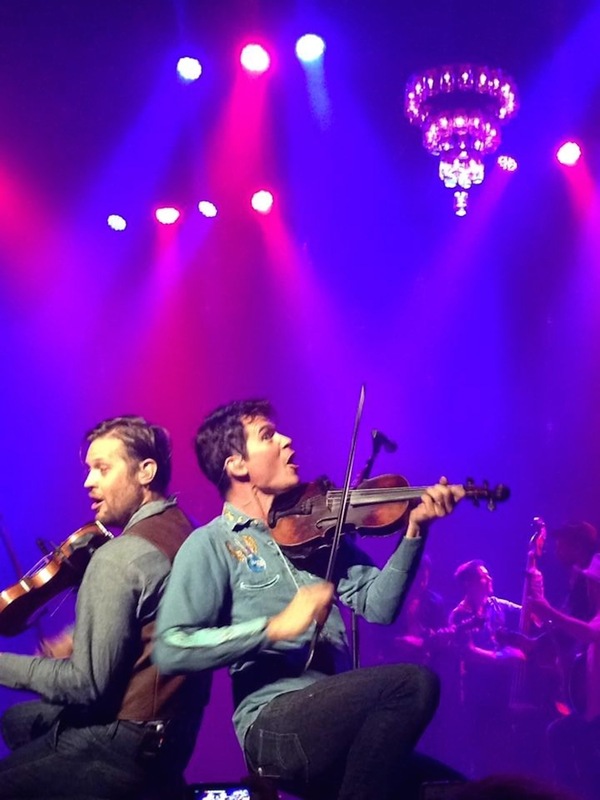 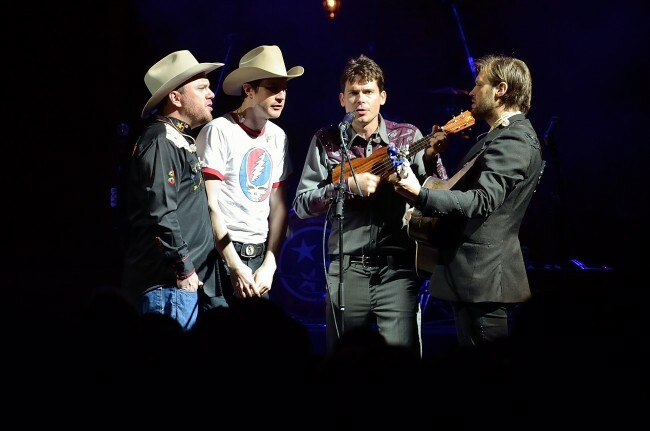 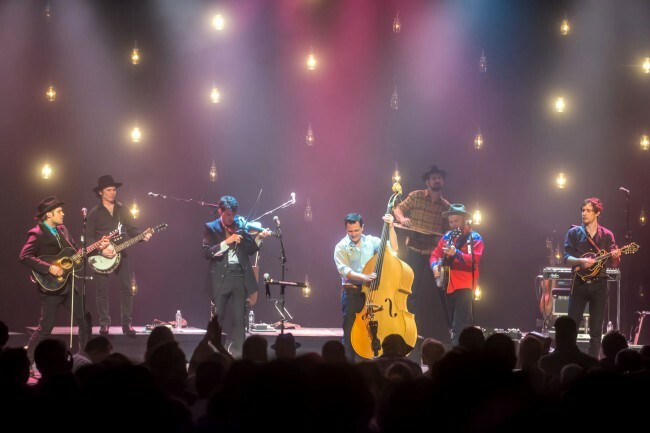 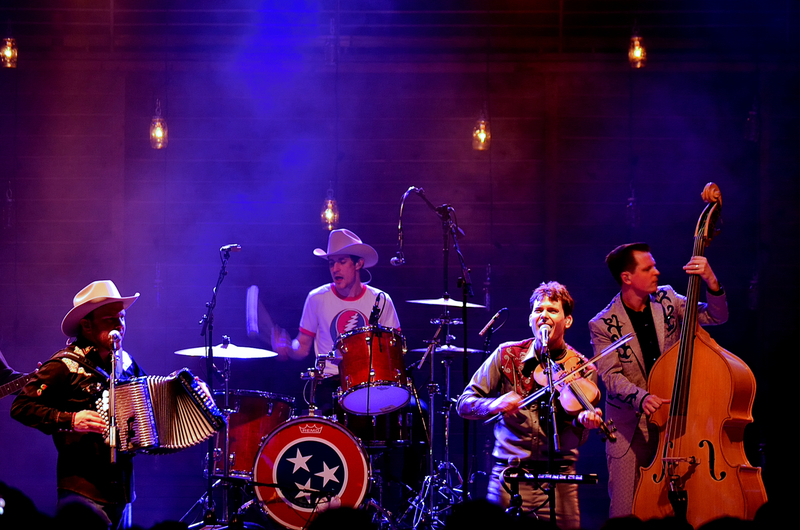 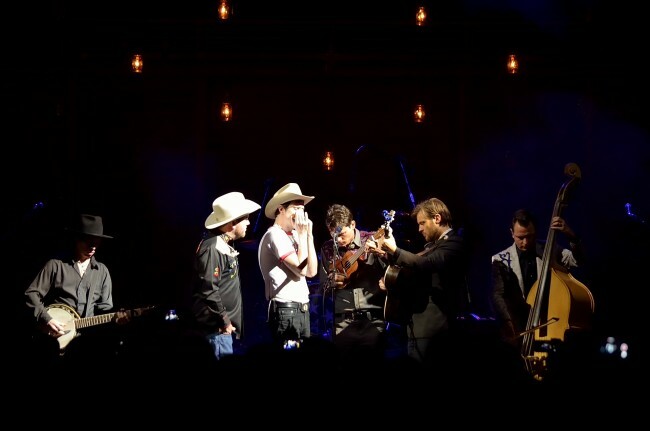 After nearly two decades together, Nashville-based Old Crow Medicine Show continues to craft classic American roots music while pushing themselves in new directions. 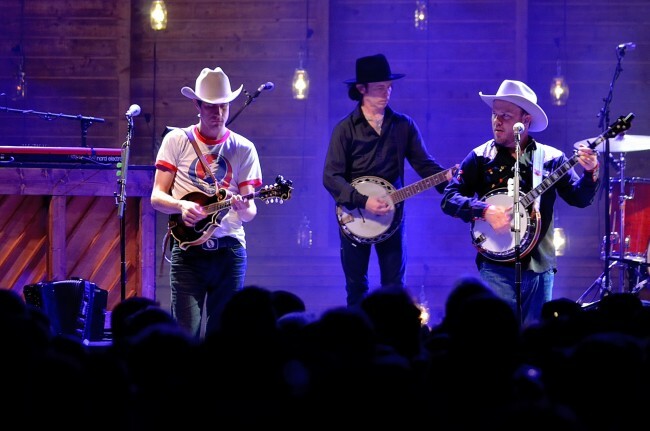 Their song, “Wagon Wheel,” went platinum in 2013; later that year, the band was inducted into the Grand Ole Opry. In 2015, OCMS won “Best Folk Album” for Remedy at the 57th annual Grammy Awards ceremony. 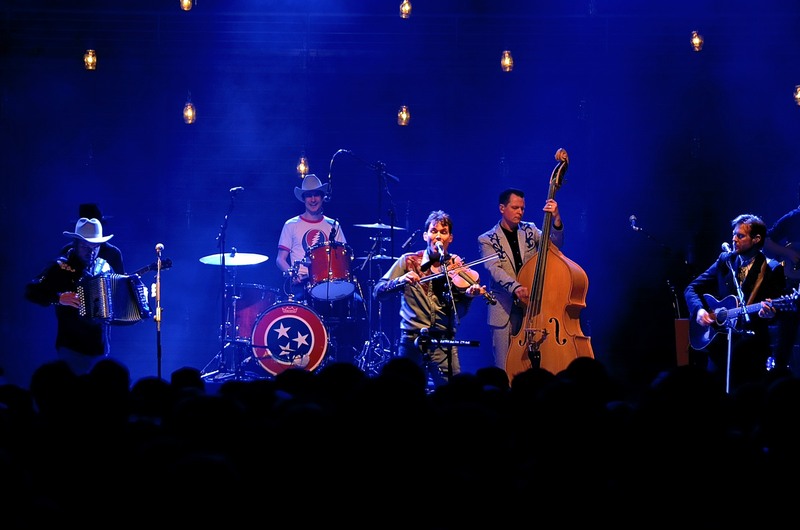 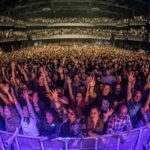 OCMS can attribute much of their success to relentless touring, loyal fans and commanding live shows. Exhibiting an unbridled spirit, these energetic performers thrive on stage in sound and vision. 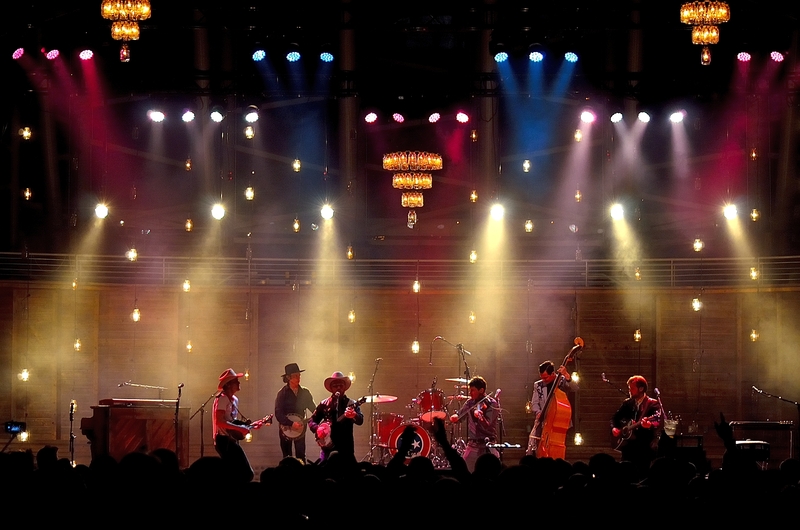 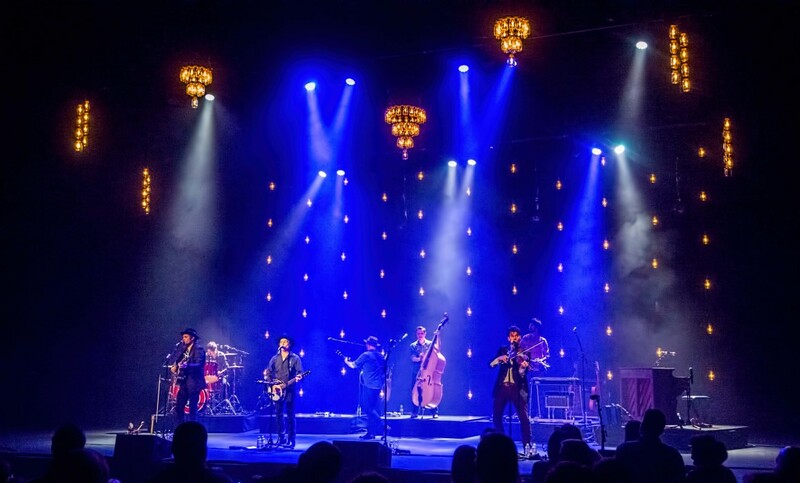 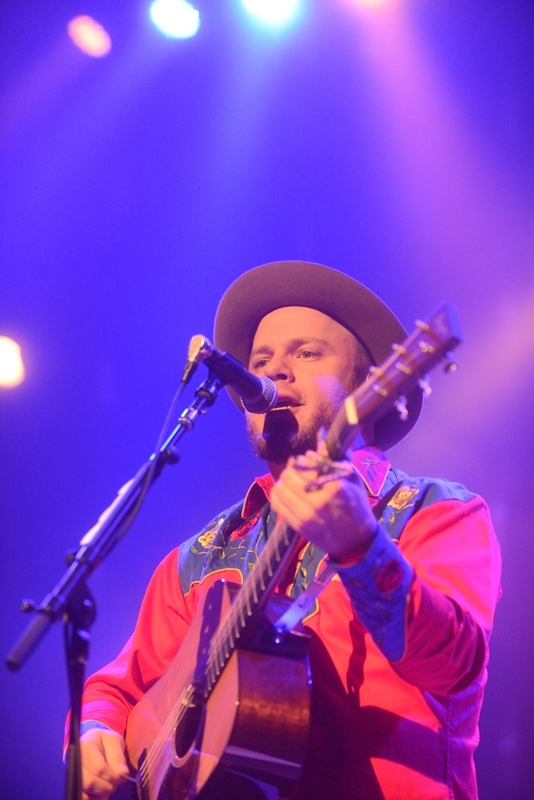 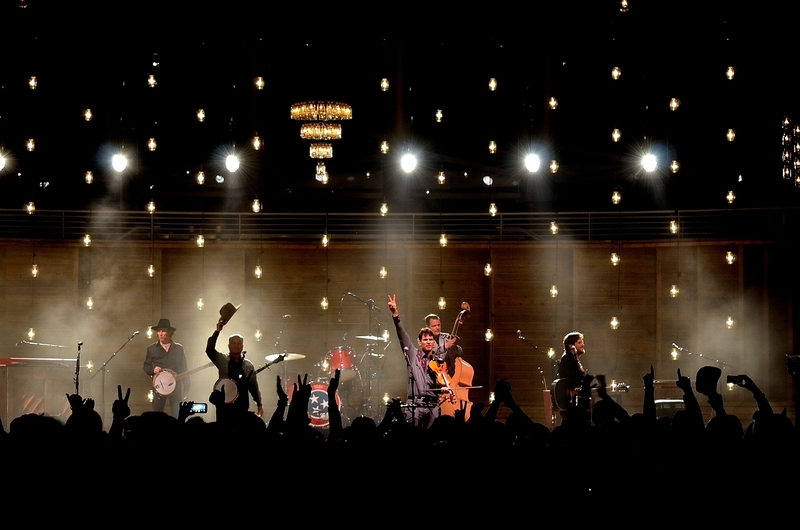 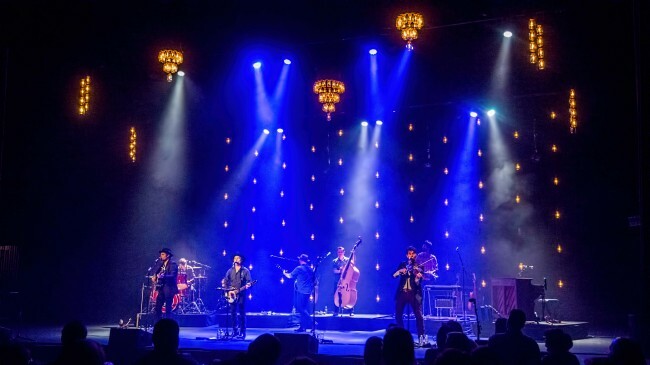 Lighting Director Mikey Cummings used TERI Productions as a vendor to create a unique design of 200 custom chandeliers made from Ball Mason Jars, backed by a pixel-mapped curtain, to accompany the band’s authentic country sound. 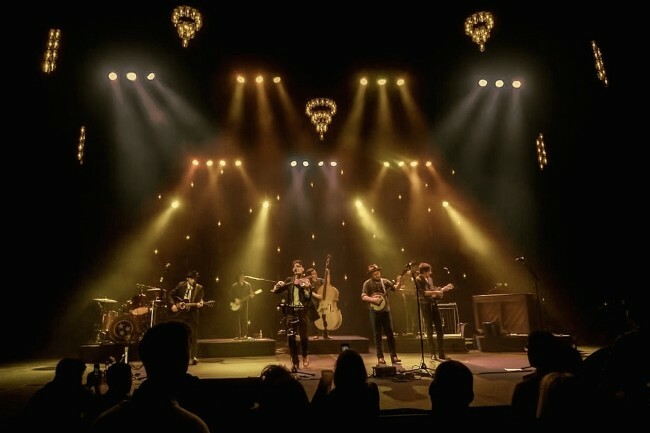 This elegant yet rustic look is a classic example of how the Pulse team individually tailors a design to a client’s vision to bring a unique, harmonious visual element to the mix.